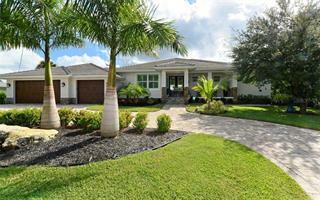 Ask a question about 710 Siesta Key Cir, or schedule a tour. 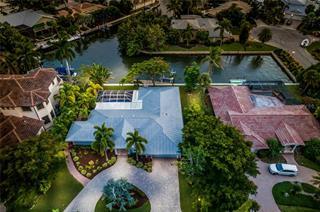 Casual sophistication awaits you at this Siesta Key deepwater canal front home. 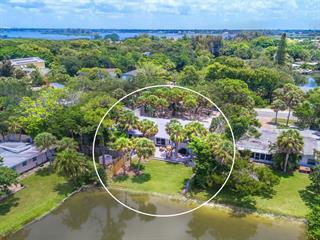 Renovated with quality throughout—including 2019 roof, kitchen/bath remodels, flooring, hurricane-grade windows and sliders, A/C + ductwork, and pool resur... more.facing—means the effective age of this Florida Key home is between 2012-2019. 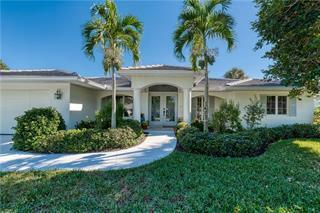 The home’s graceful details and prestigious Siesta Key Circle neighborhood are a must to see. 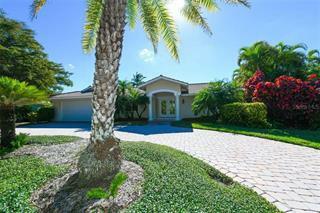 The gracious double door entry and foyer open to the living/dining room, overlooking the west-facing backyard. The wall of pocketing sliders provide wide views to a tropical paradise. The fully renovated kitchen features a dining banquette area with fireplace, 6-burner gas cooktop on an expansive island, built in microwave and stove, custom refrigerator, and gliding pull-out shelving in the solid-wood cabinetry throughout. The bright bay-windowed master suite features an updated white-on-white master bath with dual sinks and walk-in shower, plus a custom-fitted walk-in closet with motion sensor lights. Two guest rooms share an updated bath, one featuring a cozy fireplace. 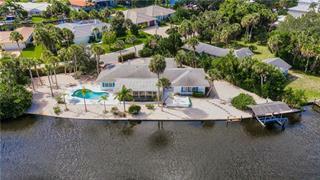 Outside, a boat lift and large deep water dock for sunning sit on the sparkling canal, with access to Bay and Gulf. The large lanai with pool is caged with covered space and recessed lighting. 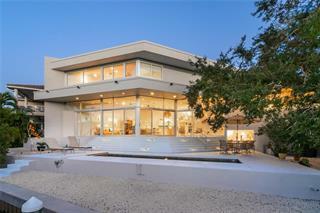 Bonus alert: a full size shuffle board court overlooking the water makes this home an entertaining dream. 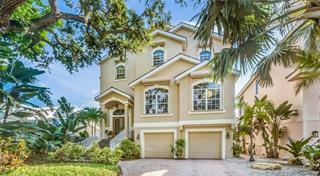 The garage is not to be missed with extensive custom cabinetry and A/C. Now is the time to live your best life, right here on Siesta Key.